Is SoftSwim the Best Chemical Program for you? 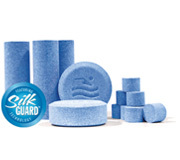 Yesterday, we took a look at the weekly 3-step chlorine program from BioGuard, so today we will dive deep into the world of SoftSwim. 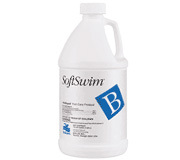 SoftSwim is a non-chlorine sanitizing system from BioGuard. If you have heard of baquacil or biguanide, it’s the same general idea. 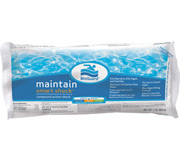 It’s great for those people who have an allergy to chlorine or just prefer a non-chlorine system. 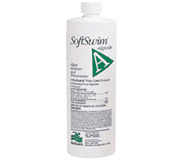 All of the same chemicals that you would use to balance pH or alkalinity are compatible with SoftSwim. It is very important to remember, however, that chlorine and SoftSwim DO NOT MIX. If you add chlorine to a SoftSwim pool or vice versa, you will find yourself with something that looks more like a swamp in your back yard than a pool. 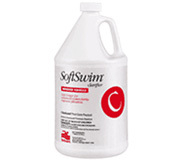 SoftSwim can be used with any pool surface type in both above-ground and in-ground pools. It is not recommended for pools larger than 25,000 gallons, though. SoftSwim does just what the name suggests: it makes the water feel softer for swimming! It’s amazing how nice your hair and skin feel after swimming in the biguanide pool. Perhaps the only thing simpler than 1-2-3 is A-B-C…but let me explain. Let’s go through the steps. The first step in keeping your pool crystal clear and algae-free is by using an algaecide. “A” is great to use every other week to inhibit any algae from growing. It won’t evaporate due to direct sunlight and it works harder in high temperatures, so don’t worry about cranking up that heater! Just as chlorine is your sanitizer in a chlorine pool, “B” is your sanitizer in a non-chlorine pool. It contains biguanide, which was originally developed as a pre-surgery microbial scrub so you know it’s effective when it comes to killing germs and bacteria. It is only added as needed but it is one of the most important steps in your A-B-C program (at least it’s in the top 3, anyway.) It’s powerful, yet gentle on your eyes, skin and hair. “C” is effectively your shock for a SoftSwim pool. It is a pure form of hydrogen peroxide and generally should be added once a month to maintain your water clarity. It has a built-in stabilizer so it lasts longer in the water and won’t burn off easily in hot weather. “C” works great to eliminate body oils, lotions, sweat or any other undesirable contaminants that could dim your sparkle. As with any other product, there are pros and cons. It can be a bit more expensive to start up in the beginning of the season than a chlorine pool. There can be other more stubborn types of algae that affect SoftSwim pools, particularly pink algae. As with chlorine, the best way to get rid of stubborn algae is shock or in this case, “C“. Or if you don’t want to read, you can just skip right to the video. We’ve all been there: you’ve been swimming in the pool all day and when you get out, your hair is knotted and brittle and it takes forever to get a comb through it. Sometimes it feels like there’s not enough de-tangler in the world that will fix your problem. Luckily there are a few tricks that you can try to help you combat these summer woes. There’s a reason this product from BioGuard® is #1 on the list: it’s the best way to protect your hair. 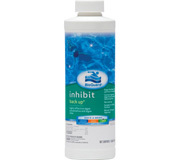 It was originally used in the Olympic swimming pools for both water softness and clarity. It works like a conditioner for your hair and skin and will leave both feeling soft after a long day of swimming. Another great thing about it is that it’s a one-time addition to the water and will last you from year to year. 2. Wet your hair before getting in the pool. Think of your hair like a sponge. There’s only so much water a sponge will hold; same goes for your hair. If it’s already wet, then it will absorb less of the chlorinated water and save you a bit of a headache later on. Do NOT shampoo it before diving in though, because that could strip away the natural oils that act as a shield against the chlorinated water. 3. Try a conditioning mask. This goes along the same lines of wetting your hair but this is a trick used by celebrity hair stylists. All you need is a large spray bottle and a wire whisk. Mix 4 tablespoons of your favorite conditioning mask into 4 cups of warm water. Use the whisk to make sure you break up all the chunks of conditioner. Pour that mixture into your spray bottle and shake it up some more, for good measure. Once you arrive at the pool, drench your hair with the spray before jumping into the water. It’s also a good idea to tie your hair back in a bun or braid to avoid some nasty tangles later on. Before going in the pool, you can try treating your hair with natural oils like jojoba or coconut to help seal the hair cuticles and create a barrier from the chlorine. If you’ve already gone in, try using apple cider vinegar, which acts as a natural clarifier. Clarifiers help to remove any buildup in your hair like chlorine or dirt. Just mix one part vinegar to four parts water and pour over your hair after it’s been washed. Then you’ll want to rinse it out again to avoid your hair smelling like a salad. Sounds like an obvious solution but when you get out of the pool, go and rinse off in the shower. Now is when you should definitely wash your hair (maybe with a clarifying shampoo.) The quicker you get the chlorine out of your hair, the better. What are some of your favorite remedies to prevent “pool hair”? Doing it the right way can mean the difference between a summer of fun and a summer of headaches! Follow these important (and easy) steps to ensure a smooth, carefree pool opening in the spring. And remember, your local BioGuard® Dealer is always ready to assist with information tailored to your specific pool care needs. Be sure to circulate pool water 24 to 48 hours before taking a water sample. Using a clean plastic container (or better still, one that your dealer provides), scoop about one quart of water from elbow-depth. Seal the container and take it to your BioGuard Dealer for testing and analysis. You can test sanitizer and pH levels yourself using the BioGuard 1200V Test Kit or BioGuard Test Strips to check free chlorine, total bromine residuals and pH levels and Total Alkalinity. Use the following chart to determine proper levels. Routine maintenance is the best way to maintain your pool. And with one of BioGuard’s easy-to- use 3-step pool care programs, it’s as easy as 1-2-3! We even have a non-chlorine system-our SoftSwim® Program-if you prefer pool care that doesn’t use chlorine to sanitize!